Anonymous asked: So, basically, at first I'd like to say that I LOVE this blog. It made me feel so much better about myself and helped me to dress better, too, of course. Now, onto the question. I'd love an earring, but I am terrified people will read me as female because of it (and I am desperately trying to be read as male, even if it's though with my physique and, uh, face). 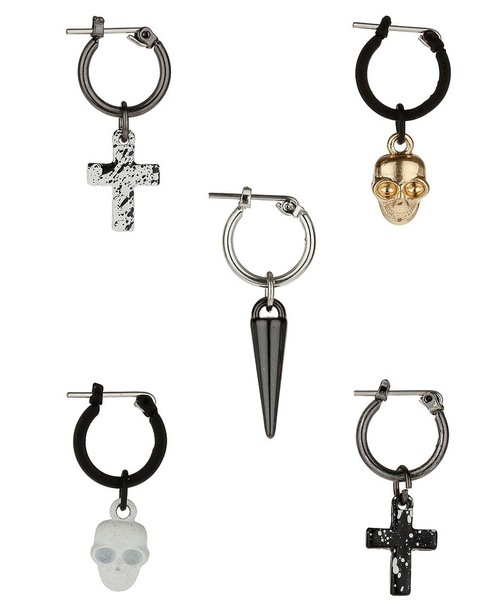 Do you (or any of the lovely followers) know any earrings that could be only read as male? Sep 2 Qweary: Feminine Boy Presentation?